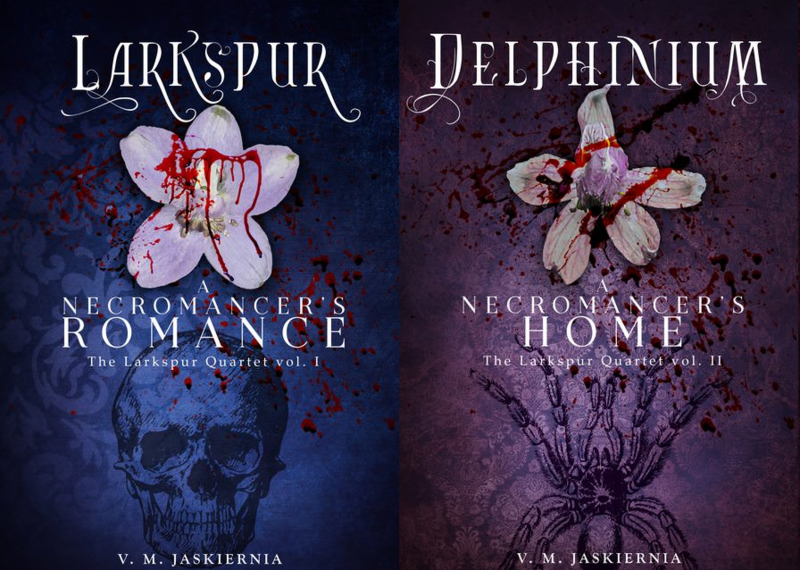 So, Larkspur is a self-published indie book. And upon rereading it, again, I found some minor flaws. A spelling/grammar error in a few place, some parts may have been confusing– I fixed those. I added a few hundred words of extra prose, usually explaining something a little better, and fixed the small grammar issues I found. I updated it and put it up on Amazon. If you have the book, it should tell you to update the book on your apps or kindle, but I informed them once already and nothing has come up for me. The book WILL be free again soon, so re-downloading the better version will be an option. If you don’t have the book- you’re in luck, if you get it now you’ll get the fixed and shiny version with the blue cover, and not the originally published ‘playing card’ cover that didn’t look as good as I thought it did.